FARMINGTON, Utah, Jan. 31, 2017 /PRNewswire/ -- Vista Outdoor Inc.'s (NYSE:VSTO) Vice President, Controller and Treasurer, Thomas G. Sexton, has announced his retirement, effective April 7, 2017. 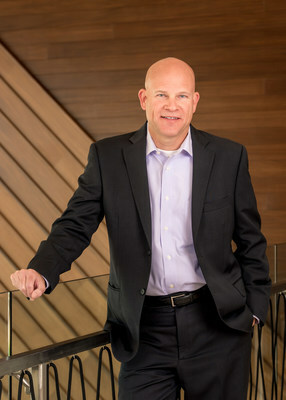 Sexton has worked for Vista Outdoor and its predecessor companies since 1986, when he joined Honeywell in international reporting. He has held various leadership positions in finance, including Vice President and Group Controller for ATK Ammunition Systems Group (2002-2007), Corporate Controller, Interim Chief Financial Officer, and Treasurer for ATK (2007-2013), and Vice President and Controller for ATK Sporting Group (2013-2015). Sexton has served as the Controller and Treasurer for Vista Outdoor since it spun off from ATK in February 2015. "Tom has had a successful 31-year career with Vista Outdoor, and I appreciate his steadfastness, loyalty, and innovative approach," said Vista Outdoor Chairman and CEO Mark DeYoung. "Tom and I have worked side by side over the years. He is a man of integrity and discipline, and someone I could always count on. I wish him the best in his well-deserved retirement." "I've enjoyed my time with Vista Outdoor and am fortunate to have had an opportunity to work with really great people throughout my career," said Sexton. "Helping lead a consumer products company that is focused on supporting individual outdoor adventures has been rewarding and full of purpose. I will miss my Vista Outdoor peers and friends who have enriched my experiences and career, but look forward to having more time to use some of the company's great products."